Denny Jump (Bellevue, WA, United States) on 9 October 2012 in Landscape & Rural. 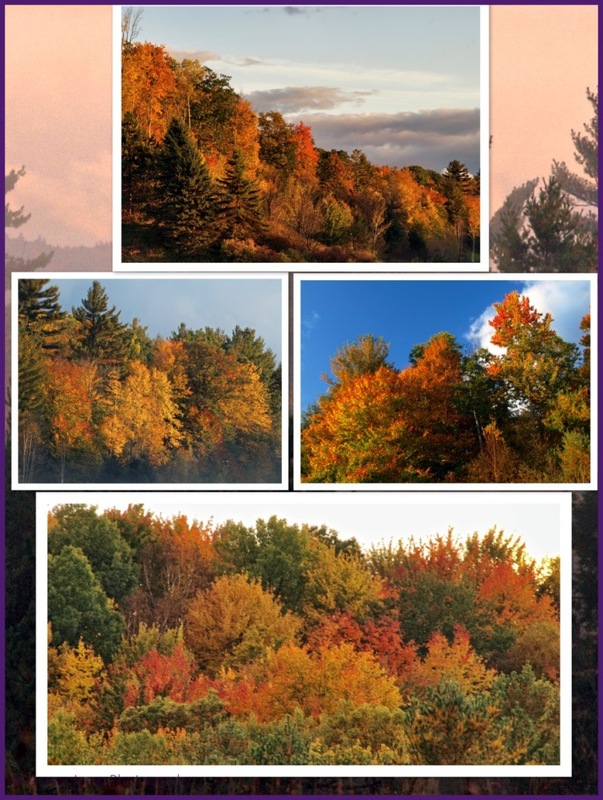 If you want to visit Vermont to see the fall colours, you will almost never "go wrong" if you vist sometime between the 7th of October and the 17th, (with the 11th normally being the "central" date). This year has been a little different. Many trees all over the Norhtheast and Mid-Alantic states still have lots of green on them, while many others have begun to change or, are indeed "fully peaked." In my opinion, the VERY hot temperatures we had in the middle of the summer severely affected the trees. Depending on the individual tree (and "tons" of other variables, like how much water it received; if it was exposed to wind or if it was in a protected spot; the variety of tree that it is), the c colour cycle and longevity can vary significantly. The fall colours of New England and, truly, all of the Canadian and US East always draw lots of attention, and rightfully so. But, after having lived in almost every region of the US, Barbara and I can both attest that fall colours - GORGEOUS fall colours - can be found in just about any location in North America....It's just a matter of being observant and having the desire to explore. You sure got a blazing mix of colors here, Denny . . and the fact there are more variables than certainties makes it all the more a delight when things turn out as good as they do here. Yes, fantastic colours. Each year at this period of time, I say myself I must plan to go in Vermont/ Canada to see it ! These explosions of autumnal colors are wonderful. A festival you offer us in this collage ! You're right Denny! Nice examples of the beauty of those flamboyants trees! Looks like autumn has arrived in style - still all green here! Gorgeous colors. The trees are all dressed up. wow, foliage as it should be! so glad your trip was not in vain ... at least in this respect !!! i fully agree with you about the beauty of autumn in the usa and canada ... it can be quite overwhelming !!! Thanks for sharing these vibrant leaves, buddy. I went out for a long bike ride yesterday, in search of this, and found that it is only just getting revved up. Amazing collection of colour, I wish the autumnal colours here were as prominent. Absolutely beautiful! Gorgeous fall color! A gorgeous collage. I understand it's cold in Vermont about now. Excellent Denny! Love the concept of collage, I have been experimenting with musical related diptychs for the past week. Check my page in a few days. Exactly as i imagine it ! Beautifully peaceful. I lived in NH for 40+ years until moving to Hawaii a decade ago. You've captured the colors well. You are also quite right that the temperatures (and rainfall) affect the vibrancy of the colors. I have family in the Northern Kingdom, so I still have an excuse to see the Vermont foliage. Well done. Fantastic fall colors Denny! I've never been in the northeast during autumn so, I'll have to add this to my bucket list. Very nice Denny...I'll have to add Vermont in fall to the list.